Wayne Rooney’s contract extension with Manchester United will see him remaining with the club up until 2019 and David Moyes has downplayed the importance that not only Rooney will be for United but also Van Persie. Injuries have taken a hit on United as both of the main attacking players of Manchester United (Van Persie and Wayne Rooney) have been suffering from a number of injuries that has left him out of a few important matches for the club. 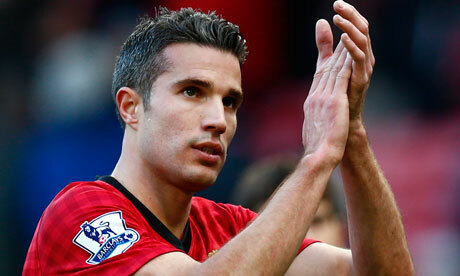 "Robin is a fantastic player, one of the best goal scorers in world football. We've both had injuries at the same time this season but hopefully we can stay fit. When we are both playing we will score goals but we have other forwards coming in as well. I think it's important we play well and that will bring other players around to play well as well." Rooney revealed. David Moyes stated that Van Persie and Rooney are vital if Manchester United wants to continue climbing spots in the Premier League. One of the latest William Hill sports betting promotions is offering great odds on United managing to claw their way back into the top four. Rooney wants to help David Moyes restore the glory days of Manchester United back to Old Trafford and the English forward not only wants the club to secure more Premier League titles but Champions League trophies as well and that is one of the main reasons on why he decided to stay with the side of Moyes.